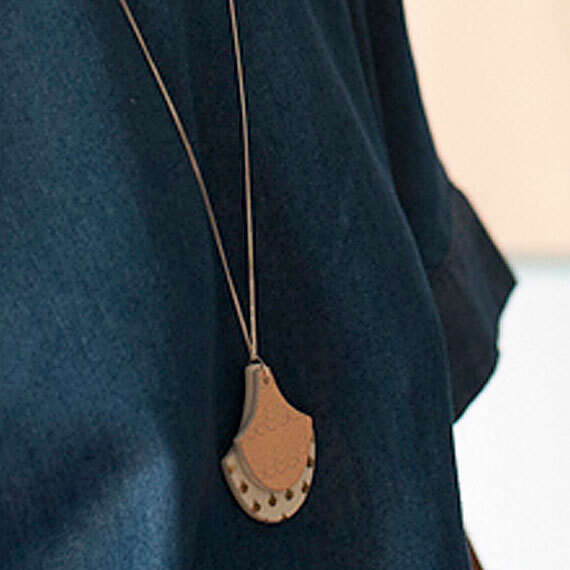 The beautiful curves of the ginko leaf make a stunning necklace! The shape of the first leaf is repeated with the second, slightly larger ceramic shape hanging behind the coral. 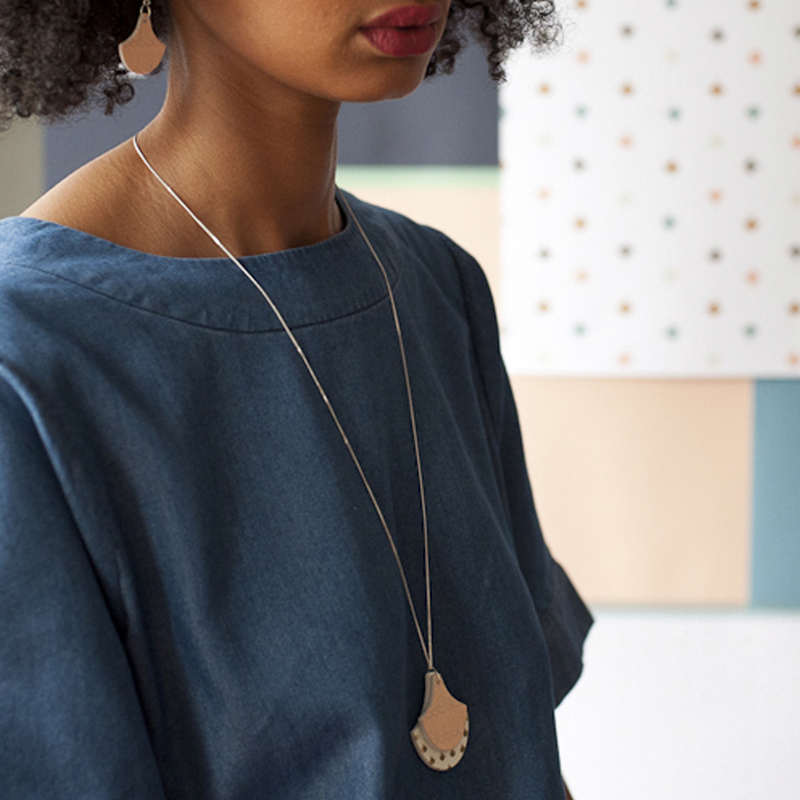 The coral leaf features the subtle Mmms pattern, while the white leaf features the ginko pattern in gold. 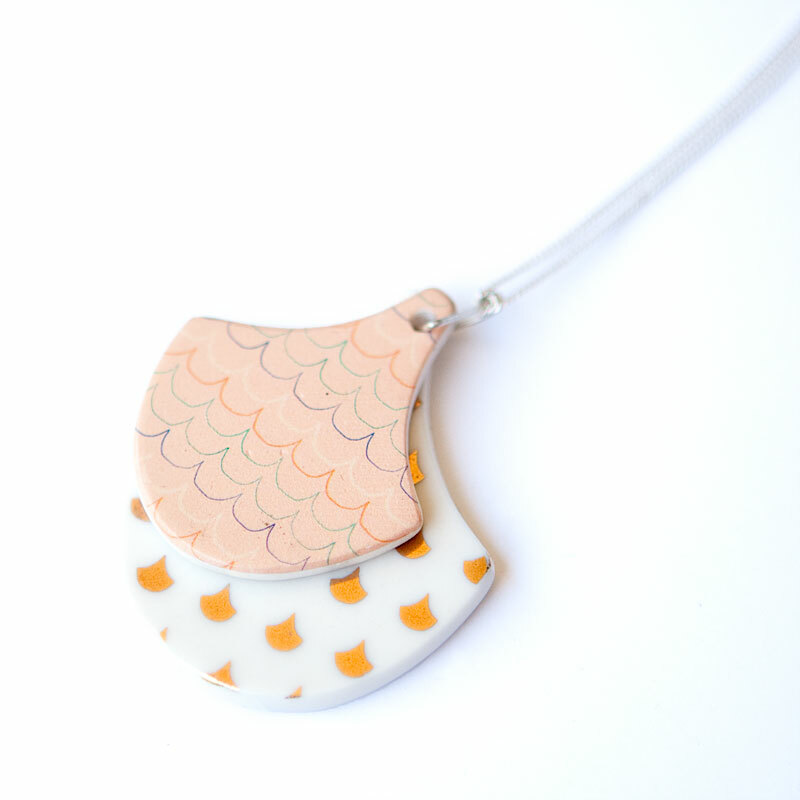 Gold lustre print glaze on large back pendant.